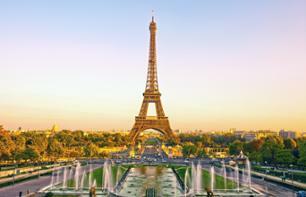 Eiffel Tower to see Paris | Book now! 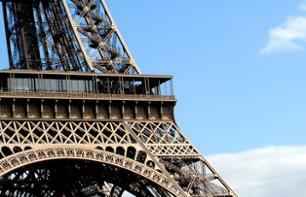 Your excursion will start with a coach tour of Paris's major landmarks, before you are dropped off at the Eiffel Tower. Discover the history of the City of Lights. 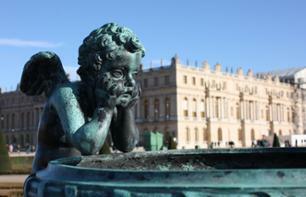 This tour offers you the chance to explore Versailles and its estate, discover the various Parisian districts during a bus tour, enjoy a river cruise on the Seine, and marvel at the view from the Eiffel Tower – all in one day! 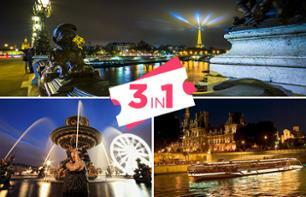 Discover Paris's famous sites and monuments once the sun has set! 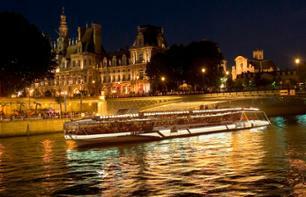 This night-time trip through the "City of Light" is full of architectural treasures and fun! Enjoy a delicious dinner at the Eiffel Tower then set sail for a cruise on the Seine through the heart of the city surrounded by the twinkling lights of the city. Then you'll head on to the Moulin Rouge, the legendary home of the French Cancan! 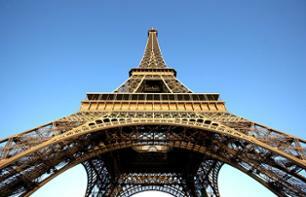 Discover the Eiffel Tower and the surrounding area on this guided tour in a small group (25 people max.) 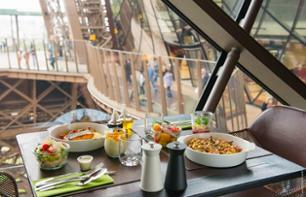 which includes fast-track access to the first 2 floors of the Eiffel Tower. 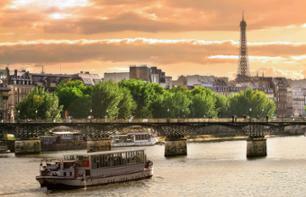 Enjoy priority access to the 2nd floor of the Eiffel Tower, a cruise on the Seine and admission to the Louvre Museum. Discover Paris from up high on the 2nd floor of the Eiffel Tower and explore the city at your own pace with two hop-on hop-off bus routes and a cruise on the Seine. 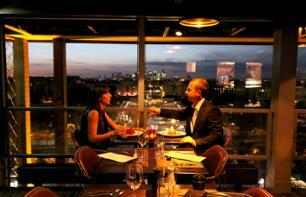 The evening starts with dinner on the first floor of the Eiffel Tower, in the panoramic "58 Tour Eiffel" restaurant. After the meal you'll embark upon an hour-long commentated cruise along the Seine: a great opportunity to admire the city lights from the river.